Commemorating International Women’s Day on March 8th here you have a list of eight fundamental women for the development of Ancient History in Persia. 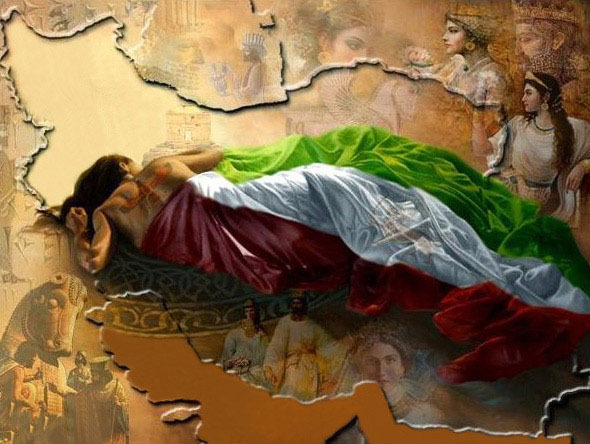 The selected women belong to the Achaemenid (550-330 BCE), Arsacid (224 BCE-240 CE) and Sassanian (240-651 CE) periods. Their roles quite variate but for sure they were relevant for the times they were living at. Mandana was a princess of the Median kingdom, daughter of king Astyages. Her name seems to come from ancient iranian languages and means ‘cheerful’. Mandana’s character is surrounded by myth and few knowledge about her personal life has been collected. She became the spouse of Cambyses I, king of the Persians, and eventually she would be the mother of Cyrus II the Great considered to be founder of the Achaemenid dynasty. According to legends, Astyages had a premonitory dream foreseeing the uprising to power of his grandchild, stealing his power. For that reason, he chose to eliminate the kid after he was born. It was Mandana who hid the baby, who would come back as an adult to claim his legitimate place at the throne of Media. One of the sources containing this story are the works from Herodotus. To what extent this story is certain remains unknown. Possibly Mandana was in fact the daughter of Astyages, but also she could have been used as a nexus between Cambyses, who truly belonged to the Achaemenids, and Cyrus. 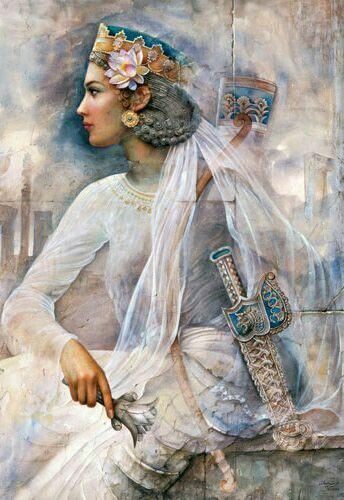 Pantea was a commander of the Immortals during the reign of Cyrus II the Great. She had great influence on the military panorama. We already dedicated a whole article to her figure. You can read about her by clicking here. Daughter of the great Sassanian emperor Khusraw II, Būrāndukht was the first woman who ruled the vast empire his father conquered. For how long she was on the throne it is unknown exactly; it could variate between a year and four months and two years. 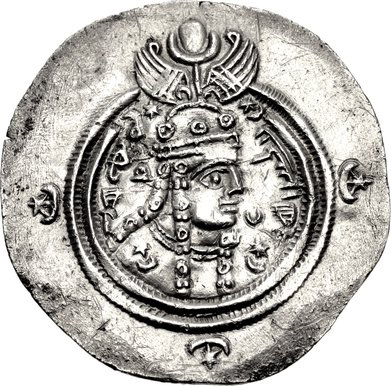 During her rule she had a coin of her own with her face and name on it, Būrāndukht. Pūrāndukht is the name Ferdowsī used to address her inside her epic poem the Shāh-nāma, the Book of Kings, where she is listed as one of the Sassanian leaders. 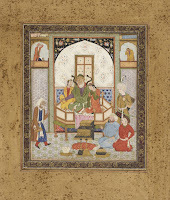 Būrāndukht accessed the throne after the execution of Khusraw II by his own son, Kavadh II, and the latter death of said son after an epidemy swept through the empire. Her role was fundamental to maintain united the empire’s structure that was going through a cruel civil war. Būrāndukht not only kept unity but also helped reconstructing many infrastructures damaged by said war. Āzarmīgdukht was queen Būrān’s Little sister and her successor to the throne. She was also a daughter of Khusraw II and ruled for a year, from 630 to 631. She had her own coin as well but chose to represent her father’s face instead of hers. After her sister’s reign, the Sassanid general Shapur-I Shahvaraz auto proclaimed himself ruler and deposed Būrāndukht. However, he was not recognised by some factions who supported the empire and he was immediately deposed to put Āzarmīgdukht back in the throne. Later on, she had one of her suitors killed to avoid the wedding but ended up assassinated herself by this man’s son. After her death, Būrāndukht took over again. Atossa was Cyrus II the Grat eldest daughter, possibly from his marriage with Cassandana. She had a quite agitated life but both Greek and Persian sources coincide when highlighting her sharp intelligence. After some comings and goings, her half-brother Darius I took her as his wife and Atossa started exercising a powerful influence not only in court but also in the military circles. Thanks to her lineage related with Cyrus II she was treated with great devotion and respect. Herodotus’ accounts explain how she suffered from a breat cancer treated by the Greek physicist Democedes of Croton. Atossa’s eldest son was Xerxes I and she made sure he was the candidate to success Darius I despite not being the eldest among his brothers. During the reign of Xerxes I she was still in great consideration due to her queen-mother role. Irdabama was a woman in charge of her own business during the reign of Darius I and Xerxes I. She belonged to the nobility and she was the owner of great extensions of land, flourishing business of grain and wine as well. The tablets at Persepolis keep registers about the high number of workshops, lands and workers under her control. She owned her own commercial seal and administrated different centres, most of them in the area near of today’s Shiraz. Some of them mustered up to 480 workers. She was in charge of authorising cargo and materials’s transport and her approval was required to put the goods at the market. Sura, named after the great Arsacid genear Surena, was the daughter of Ardavan V (213-224), the last of the Parthian rulers. According to some sources, she was given the title of sepahbod, general lieutenant of her father’s troops. It is quite difficult to find information about Sura since her being a legendary character is highly possible. 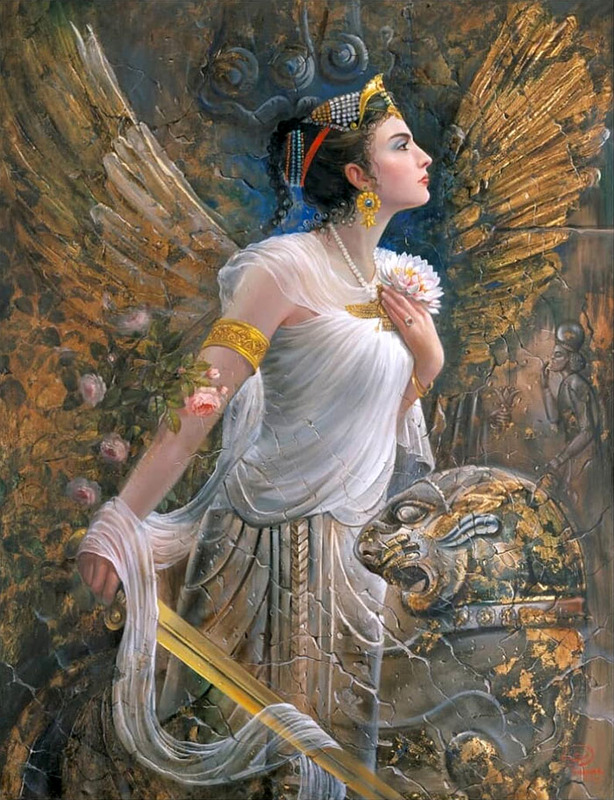 Nevertheless, she is still very relevant to contemporary folklore and she is one of the few relevant feminine figures in the Parthian world who accessed the military circles. Youtab, meaning ‘unique’, was the sister of the legendary hero Aryo Barza, ‘exaltation of the Aryans’. They both were Persian prince and princess; her brother was granted the title of satrap of Persis, the empire’s south province. These two siblings are famous for having commanded the army who confronted Alexander the Great at the Battle of the Persian Gate (330 BCE), a gorge on the Zagros mountains. Youtab and her brother resisted the Macedonian king’s troops for thirty days but eventually Alezander found an alternative route and they were defeated. Sources speak of Youtab’s fierce in combat; she was feared even by her own soldiers. 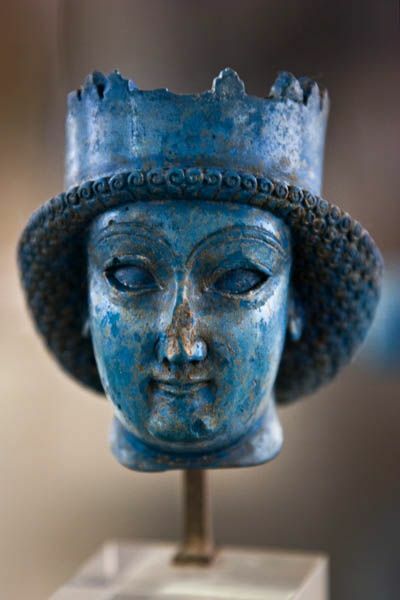 BROSIUS, Maria: Women in Ancient Persia: 559-331 BC. Clarendon Press, 1998. BROSIUS, Maria: “Women in Pre-Islamic Persia”. Encyclopaedia Iranica, 2015. DARYAEE, Touraj: Sasanian Persia: The Rise and Fall of an Empire, Tauris, 2008. SCHMITT, Rüdiger: “Atossa”, Encyclopaedia Iranica, 1989. SCHMITT, Rüdiger: “Amestris”, Encyclopaedia Iranica, 1989. SCHMITT, Rüdiger: “Mandane”, Encyclopaedia Iranica, 2012. SHAHBAZI, A. Shapur “Bōrān”, Encyclopaedia Iranica, 1989.